Giving you all the necessary tools to create a successful search strategy in an ever-evolving digital landscape. Coast Digital’s paid and organic search specialists have shared their insights and expertise to help you understand what a strong search strategy should include, and what strategy success looks like. Simply fill out the form below to get your free pdf copy, or read the guide online further down the page! To download your free copy, please fill in the form. Search marketing without a strong strategy is like a car without wheels – it just won’t go anywhere. Everyday, billions of people use search engines when looking for a particular service or product. Without a strong search strategy from the outset, web traffic will keep passing you by. In this modern world, optimising your Search Marketing Strategy is absolutely essential for success; in this guide we’ll explain why. As with any project, the planning stage is crucial. Start with your end goal in mind and map out clear objectives to determine how best to reach it. Your budget is the foundation for your strategy, so be practical about what level of return you can get for your investment. Finalise your budget before planning your strategy so you’ll know exactly what you’ve got to work with and how far you can make it go. Once you’ve laid the groundwork and established your objectives and your budget, it’s time to assess how realistic your strategy actually is before you execute it. 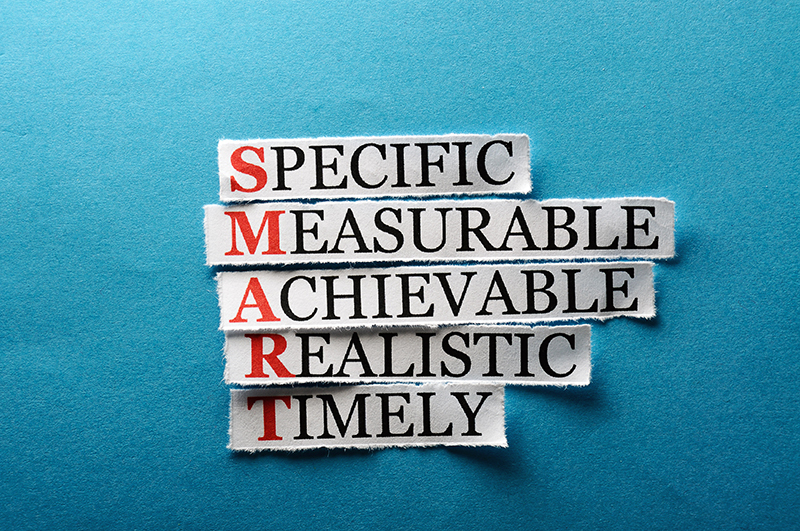 The sense-check is a valuable part of your strategy – it might sound obvious, but your goals, resources and budget all need to accurately align with your strategy. Clarify what you’re trying to do and consider whether your objectives and budget can be logically calculated and balanced. Think about your forecasted ROI and revenue and make sure you’ve considered the challenges as well as the opportunities. What ROI are we currently getting? What is the best approach to this campaign? What will work best for my target audience? What can I learn from past campaigns? Which opportunities am I taking advantage of? Identifying user needs and motivation is pivotal to an effective strategy – search marketing depends on it. However, it’s also crucial to know what your competitors are doing; competitor analysis should always be incorporated into your strategy. Assess competitor sites and consider aspects such as ease of navigation, useful content and mobile optimisation. Run auction insight reports in Google AdWords to get an idea of impressions and rankings. Asses the usability of their website conversion paths and compare their keyword lists in tools like SEMRush to identify any gaps in your own campaign. To get an idea of your competitors’ reach, look at their social media channels – assess user interaction and volume of followers. Despite what you might have heard, SEO is most definitely not dead. In fact, it’s alive and kicking. SEO undoubtedly has value in search marketing as long as a committed and ‘white hat’ approach is taken. Being aware of the strengths and weaknesses of SEO is important, whilst in some scenarios SEO may be the way forward, it’s not suitable for everything. Knowing whether or not to implement an organic strategy is key. When initially planning your strategy, it’s important to assess where – within these 3 SEO pillars – your attention is most needed. When optimising a site, you might have some great links and relevant content, but if the page is technically inadequate – say for example it’s slow to load – then it really doesn’t matter what’s on it. Once you’ve identified areas for improvement, you can then prioritise the steps you need to take in order to optimise the weakest of these areas first, while considering and monitoring the other areas. While it can sometimes be a mistake to dismiss SEO as an option entirely, it’s also a mistake to launch straight into an SEO campaign without having first considered the work that’s required. Unlike paid search, SEO takes longer to return positive results, it’s also more difficult to measure. Allowing enough time to implement and monitor your SEO strategy is a key factor in its success. Once you’ve established your priority tasks within the 3 SEO pillars, ensure that your optimisation efforts are both relevant and productive. For example, if you identify Technical Optimisation as your top concern, fixing fundamental development issues should be your first port of call. After that, the next step is to identify the site’s priority pages in Google Analytics and review them from an on-page perspective to highlight worthwhile optimisation techniques. SEO is not a one time task, for it to work properly there needs to be an ‘always on’ approach in place. Websites change all the time, that’s why monitoring organic traffic fluctuations and changes in rankings is important. It’s also important to be aware that your competitors’ SEO strategies could leapfrog some of your lead terms or, even worse, black hat techniques could be used to harm your visibility. There are a plethora of SEO tools available to you, some offer a multitude of features at a cost, while others are free tools such as Google Analytics and Google Search Console. Most tools offer a free trial version so you can test how effective they are for your purpose. Without a picture of your organic profile and a clear strategy on how to improve it, you can quickly get left behind. Ensure that you understand your strengths and weaknesses. Prioritise your efforts by optimising the weakest areas within the 3 pillars of SEO first, then turn your attention to improving the other areas. 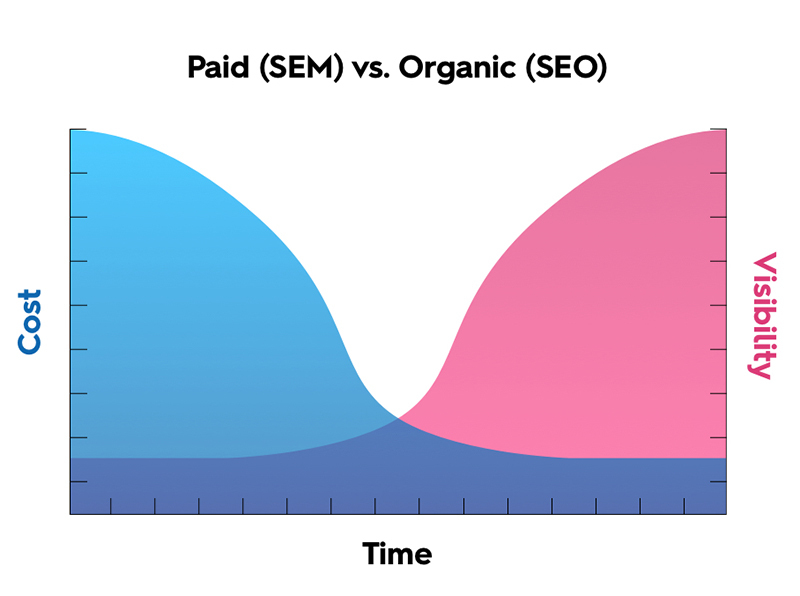 Factor in the time and commitment it takes to run a successful SEO campaign. For time-sensitive campaigns (like launching new sites and/or products) or for times when immediate results are required, there’s no denying that PPC is the method to choose. Paid ads are another example of how the search marketing landscape has evolved over time. The appearance and layout of SERPs have undergone various design changes in the last 10 years, with one of the biggest changes being the inability to appear at the very top of a results page organically. Currently on Google’s SERPs, the featured ads are almost indistinguishable from the organic listings (and Bing’s even more so), they also occupy more SERP real estate. User mentality also continues to change, many people once avoided ad listings in the past, believing them less relevant to their queries than their organic counterparts. There’s no question that some avoidance still occurs, but it’s becoming more generally (and accurately) acknowledged that these listings attract clicks because, quite simply, they give people what they want. Just like SEO, PPC requires a well thought out strategy. Setting a realistic budget and having a clear idea of your KPIs before building your campaign is vital to its success. Your campaign strategies will differ depending on your goals. Establish what you’re trying to achieve up front: be it lead generation, ecommerce sales, or brand development. Strategic audience targeting is essential for your paid search campaigns – your fantastic ad is useless if you’re not putting it in front of the right people at the right time. Identify demographics like gender, age, trends and device types. When creating your ads, conduct keyword research and choose relevant, engaging phrases that appeal to your audience’s intent. A well built campaign with relevant keywords and ads is futile if you’re directing traffic to a subpar landing page that won’t convert. Structure your landing pages carefully and review accessibility, performance and interaction levels often. Account alerts, to flag any abnormalities in account performance. Ad copy generation, based on a website’s existing content. The fact is that your conversion tactics won’t be effective on all users straight away – that’s why you also need to consider remarketing strategies. Bringing people back to the offering is an essential aspect of a well executed campaign. While it’s true that your organic pages should rank well for your brand terms, by adding brand PPC ads you ensure that your name dominates that search result. Your competitors can choose to target your brand keywords – meaning that if you aren’t bidding on them, they could be taking some of your brand traffic. Brand keywords are generally cheaper than generic keywords, due to lower volumes and lower competition. If your brand keywords are expensive, then that suggests there is competition. This means your competitors may be moving in on your brand terms – making it even more important for you to be present. If you don’t know what your KPIs are or if you’re not tracking them, you won’t know how well your campaigns are performing. 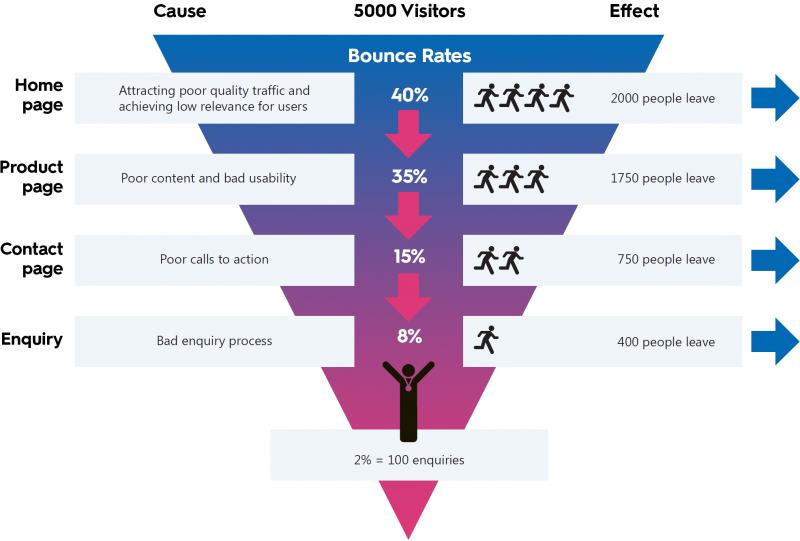 Stick to best practices and monitor page performance in user journeys to increase the chances of converting traffic. Cast a wider net with RLSA strategies to boost conversions from the most engaged audiences. Consider using automation for large campaigns to help focus your resource on the more strategic decisions, instead of bidding. Although PPC and SEO are different in many ways, they’re also two halves of the same whole. When implemented strategically, what they can both do is increase site visits. Aligning the two strategies and looking at them in a holistic way, rather than isolating them as totally separate entities, can be one of the most beneficial tactics a digital marketing team can employ. By utilising PPC and SEO tactics, you’re increasing your overall presence on SERPs. Think about it like this, if organic optimisation can only take you so far towards a search monopoly, PPC can take you the rest of the way. Increased visibility is a fast track way to significantly increase recognition. You could appear 3 times for just one search term – that’s paid search placement, organic placement and potentially even position zero – AKA: the answer box. By featuring in both paid and organic listings, you’re instilling faith in your target audience by establishing dual significance. You’re also capturing a wider audience by using both tactics as there are still people who avoid clicking the PPC ads on SERPs, so having organic listings as well ensures that you don’t miss out on opportunities for clicks and visits. The bottom line is that by knowing more, you can achieve more. Using paid search to test the effectiveness of keywords for SEO is an extremely useful search marketing tactic; not only for campaign success, but also for ensuring that your budget doesn’t go to waste. With PPC, you can also conduct quick experiments to test market needs and use the findings for future SEO campaigns. What’s more, PPC and SEO can work together in the conversion journey, this can then be analysed afterwards to determine the effect of using them together. Follow SEO best practices to improve your PPC quality score. Optimise landing pages with user experience at the forefront of your mind. Make sure that the page you send people to is effective, efficient, and accessible. Using a tiered strategy that combines both SEO and PPC can benefit your search campaigns in the long run. Launching a strong PPC campaign straight off the bat can improve your visibility while your SEO campaign begins to build momentum over time – then the necessary adjustments can be made as your campaign progresses. These days, search marketing is much more user-focussed. It’s no longer about getting as much traffic as possible, it’s about getting your offering in front of the right people – the target audience. User Experience should be at the heart of any worthwhile search strategy. By putting yourself in the user’s shoes, what you’re effectively doing is minimising the effort they have to make and maximising the experience they have on their short journeys to relevant landing pages. Now is the time to leave behind poor practices like keyword stuffing and irrelevant content. If you want your search marketing strategy to be a success, look to your audience, learn what they want, then give it to them. How can I best serve their needs? Technology advances → Consumer behaviour changes → Search strategy must adapt. Understanding the psychology behind consumer behaviour is a vital part of search marketing. As the algorithms behind search engines evolve to cater to how consumers search, so too should your search strategy. Here are some brief examples of Google’s search engine evolution. We’re living in a time where we expect results immediately – if not sooner! Wherever, whenever, and without fail. Knowing of and optimising for the devices your target audience are using is one of the most important factors in your search strategy. Mobile web browsing is fast overtaking desktop browsing and search marketing techniques must adapt accordingly. Google’s algorithm now uses mobile-first indexing; this coupled with the fact that PPC ads reign supreme in SERPs means that you’ve got to work that little bit harder to rank for those coveted organic spots. Top Tip: Google offers a simple tool for you to test whether or not a page is mobile friendly. Siri, Cortana, Alexa. These (and many other) digital assistants exist to make the search process even easier for users, but perhaps a little more difficult for marketing departments. So, what do we know about voice search? Google says 20% of mobile queries are voice searches. It’s predicted that by 2020 this will have increased to 50%. The first result a user hears either satisfies their search query or prompts a change in syntax. Since most voice search queries involve more conversational, ‘long-tail’ keywords, mirroring this format when optimising content will increase your chances of naturally ranking for the number 1 spot. A good way to get your head around optimising content for voice search is to test yourself on how you might type a query into google, versus how you would vocally query the same thing using voice search. Top Tip – Optimising FAQ pages is a great way to embrace this method of search! For further information on voice search, see our dedicated free guide: Optimising for Voice Search – Forward Thinking SEO Strategies. Whilst we know that Google Analytics is a popular and widely-used tool for measuring website performance data, have you thought about the data that you’re not currently measuring? Like lead-to-customer conversion rates? The job of a successful digital marketer doesn’t end with a conversion – your success should be measurable all the way through lead generation, right up to the point of sale. Joining the dots between the website and the business end goal is crucial; if a prospect opts to download some informational content for example, this doesn’t necessarily mean that they’re a signed, sealed and delivered sale. Nurturing prospects who aren’t yet ready to buy is an extremely worthwhile use of your time. Consider factors such as searches a user might make when conversion is in the pipeline, then ensure that the resulting content is relevant to their query. Likewise, taking the time to identify any gaps in the user journey where leads might have dropped off the radar is a valuable task you can always learn something from. Producing a strategy that ties back to the original metrics is key to accurately measuring success – with reflective insight, you can identify areas with the potential for optimisation in order to maximise your ROI. Remember that hard data should drive your decisions – attribution modelling techniques give you the data you need to prosper. To discover more about measuring the performance and success of different strategy elements, check out our helpful Attribution Modelling Guide. Hopefully you’re now feeling better equipped to plan, execute, and manage strong search marketing campaign strategies. If you keep in mind everything we’ve looked at in this guide, you’re already closer to your goals in know-how alone. Map out clear objectives – consider budget, market research, and the steps you need to take. Weigh up the pros and cons of SEO and PPC, then plan how to approach your campaigns realistically. Always utilise best practices throughout your campaigns – in the long run, you’ll be glad you did. Keep user experience at the heart of your strategy – traffic stats are all well and good but remember to appeal to your audience and enhance their search journeys. Be sure that you create measurable strategies that provide you with key data. Search strategy enhancement for a competitive intelligence tool. Adthena is a dynamic competitive intelligence tool that offers businesses a comprehensive view of the Search Marketing landscape. There were some technical issues having a negative effect on the website’s ranking potential, Coast Digital were brought in to optimise Adthena’s web presence in SERPs. The overarching goals we set were to build Adthena a new website, then plan and implement an effective search strategy. After extensive consideration of the budget, we completed a thorough audit of the website in order to gain better insight into the target audience and best decide how to optimise Adthena’s web presence in such a niche marketplace. Our keyword research resulted the decision to run a PPC campaign and an SEO campaign. We targeted meta optimisation, size speed, and copy enhancement. Whilst our PPC campaign focussed on audience targeting and lead generation through measurable interactions such as demo requests and event registrations. These results were achieved whilst maintaining an impressive ROI of 9.4 to 1. If you’re looking to improve your search strategy techniques, or if you’d like help planning and implementing a strong search marketing strategy, we can help! Get in touch with Coast Digital today.